Danzer Linea veneers are characterized by a linear, rift-sawn look. Danzer Vinterio has an even, solid-wood aesthetic that reflects the intrinsic properties of the type of timber used. Dornbirn/Chicago. 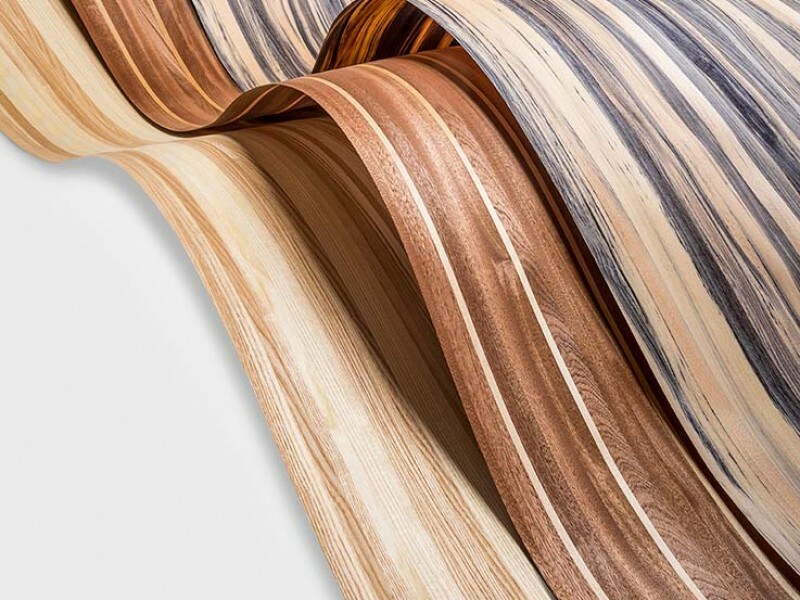 Hardwood specialist Danzer presented its authentic wood products such as technical veneers and 3D-Veneer at Global Shop, the retail design, planning, and merchandising expo and conference that took place in Chicago from March 27-29. One of the company’s focuses at the fair: showing to planners and designers how to ensure consistent aesthetics on high-end retail fittings worldwide. At the Global Shop Danzer showed the possibilities of the proven product lines Danzer Linea and Danzer Vinterio. Danzer Vinterio is an authentic wooden surface made of high quality hardwood lumber. Due to its production method, Vinterio has an even, solid-wood aesthetic that reflects the intrinsic properties of the type of timber used. The authentic Danzer Linea hardwood veneers are made from sliced hardwood of the respective wood species. They are characterized by a linear, rift-sawn look. Both product lines are available in a range of different woods. In addition to the standard types of wood such as American Walnut, European Oak, fumed Larch or Beech Driftwood, customized designs including combinations of several wood species are possible. Danzer also showed 3D-Veneer at the Global Shop. It reliably enables the industrial production of surprising organic wood shapes. “We have already completed hundreds of products with furniture and automotive customers; the material is now increasingly attracting interest in interior design projects. At Danzer we support our customers from the initial planning stage all the way through to completion with our know-how,” explains Eckart Schmitt. Another design breakthrough: Danzer Freeform. 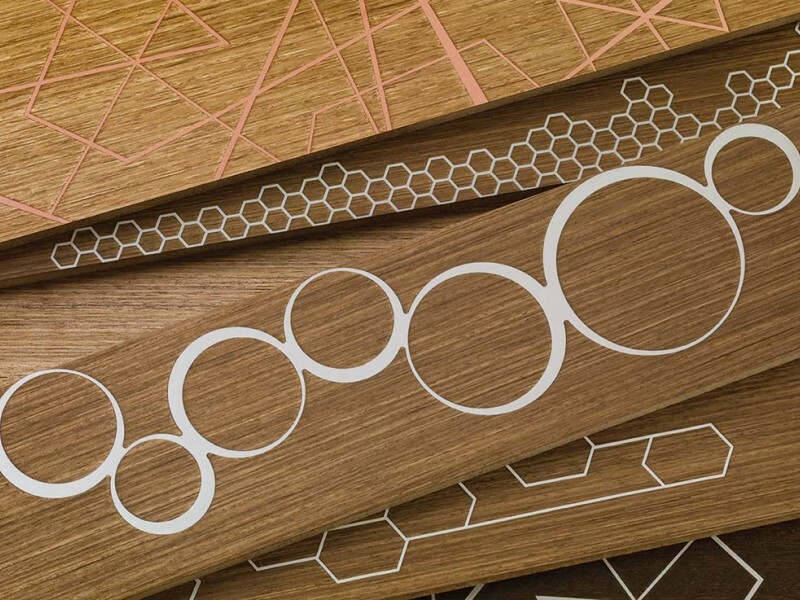 Danzer has developed an industrial process that adds metal inlays to wood surfaces. 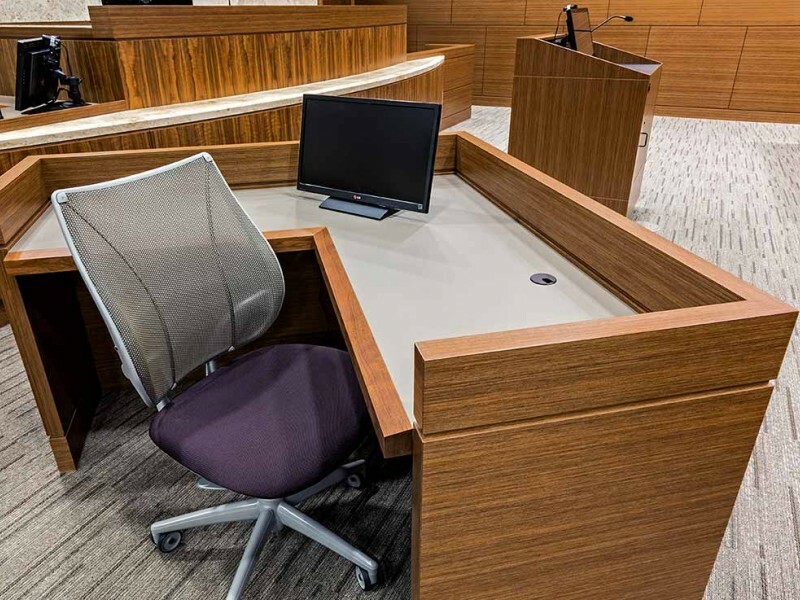 “Until now, this was only possible through painstaking handcraftsmanship, or restricted to straightforward linear patterns, but now Danzer Freeform technology makes it possible to create veneers with inlays in virtually any shape: customer specific decorative elements, typographical details and even logos can now be added to wood surfaces quickly and at reasonable cost,” he concluded.